‘Veto’ is a Polish CCG (collectible card game) invented by Krzysztof Schechtel. Players compete for power and influence, conquer territory and to install their own elect as king. 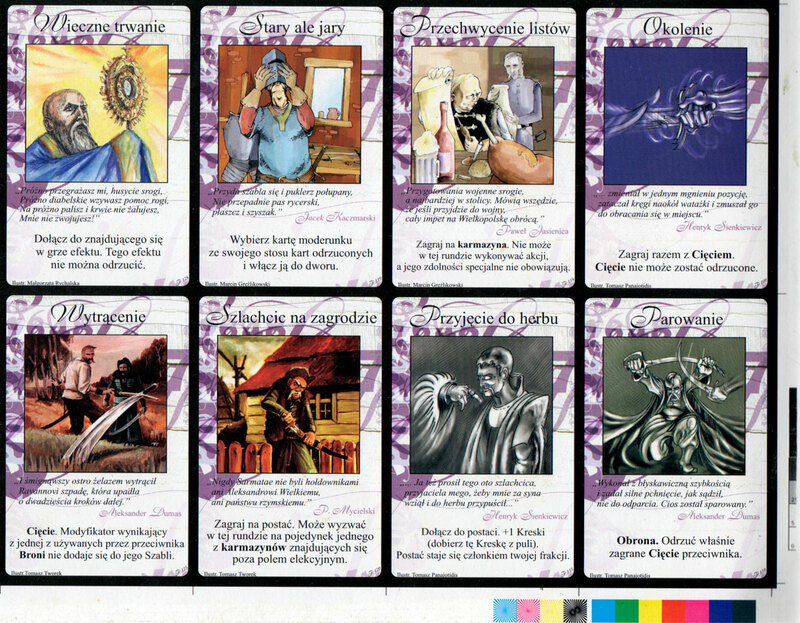 The game is set in 17th century enhanced with supernatural beings deftly illustrated by graphic artists including Jakub Andrzeiewski, Pawel Miedziński, Tomasz Panajoditis, Wiesláw Skupniewicz, Blaźej Glapa, Małgorzata Rychalska, Marcin Gręźlikowski and Tomasz Tworek. 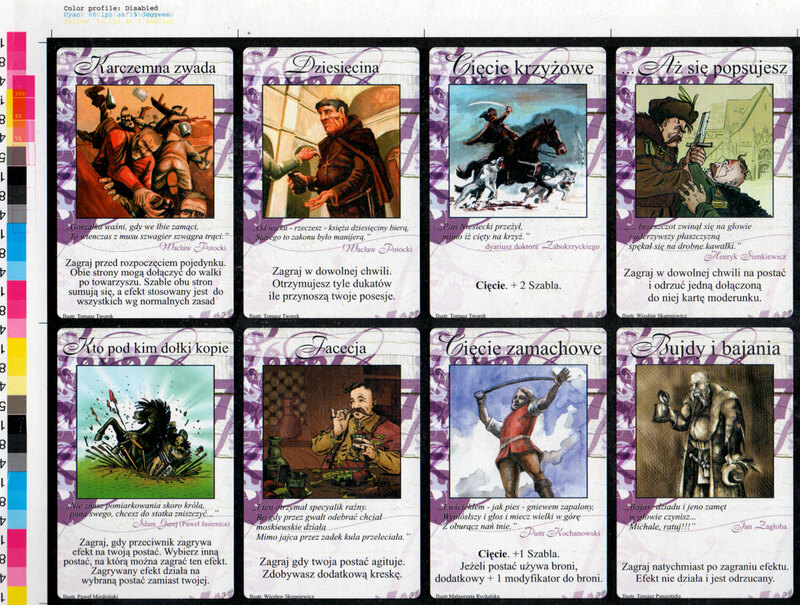 Above: part of an uncut sheet of ‘Veto’ game cards printed by KZWP-Trefl and published by Krakowska Grupa Kreatywna, 2004.